Based on the homonymous (actually the title for both is "Fireworks, Should We See It from the Side or the Bottom?") short film by Shunji Iwai, "Fireworks" is much more than an adaptation at 90 minutes, and one of the most commercially successful films in Japan for 2017. Fireworks is released in Australia and New Zealand by Madman Entertainment. 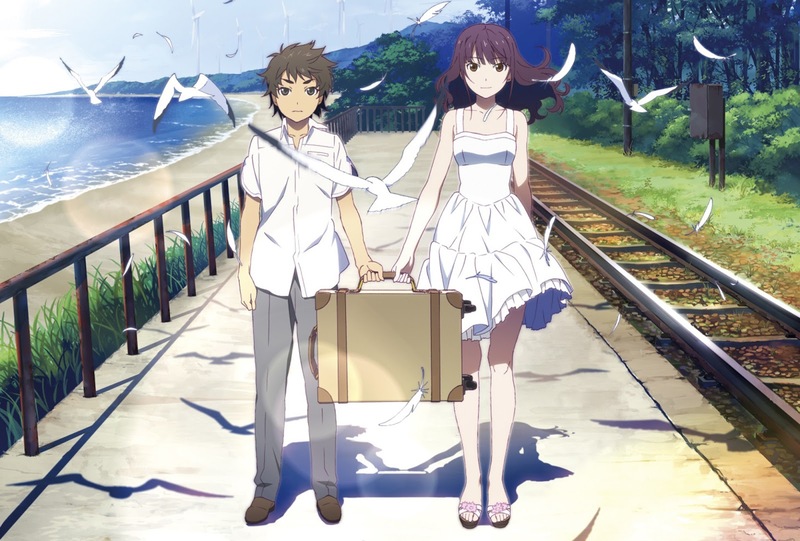 The story takes place in a seaside town in a summer day, right before a festival taking place in the area, which features a show of fireworks. Two high school students, Norimichi and Yosuke, meet their mutual object of passion, Nazuna, at the school pool. A swimming race occurs almost immediately, with Yosuke winning, and Norimichi finding a strange fireworks ball in the pool, and Nazuna actually proposing to the former to accompany her on the festival. However, a little later it is revealed that the girl was just going to propose to the winner, and that her actual purpose is to get away from her mother and her new fiancée, who plan to move away from the area. In a shocking scene in front of Norimichi’s eyes, Nazuna has a huge fight with her mother, who actually drags her home, with the boy unable to help. Frustrated by the outcome, Norimichi throws the ball he found in the pool and finds himself back at the moment of the race. As the miracle is repeated a number of times in order for Norimichi to achieve his goal, the "gang" of schoolboys, including him and Yosuke, have a heated discussion whether fireworks are round or flat when viewed sideways. Akiyuki Shinbo and Nobuyuki Takeuchi direct a very beautiful and sensitive film that focuses, mainly, on three topics: teenage romance, male friendship and the relationship of parents with their children, with the concept of the (actual) title functioning as a surrealistic, but quite amusing base. The last aspect, which is the minor one, is presented through Nazuna's relationship with her mother, although the repeated fight scenes are among the strongest in the anime. The second one is depicted through the relationship of the two boys, who try to hide their feelings for Nazuna in adorably adolescent fashion, but get frustrated at the success of their rival. Teenage romance is the main theme the film, with the relationship of Norimich and Nozuna going through a number of episodes, normal and fictional ones, until the literal fireworks of the finale. In this axis, the combination of the somewhat eccentric girl and the regular adolescent boy who is willing to go to any extremes to make her want him, functions extremely well, in very entertaining fashion. 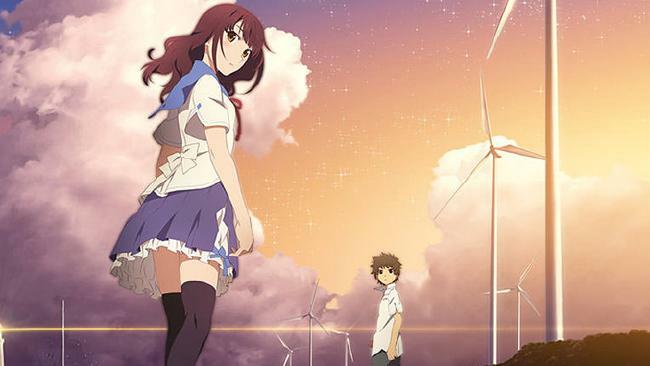 The animation by Shaft works quite well with the addition of CGI, with the movement of the characters being quite realistic, as is the case with the drawing. The coloring is also exceptional, with the bright colors suiting the aesthetics of the film nicely. The technical aspect finds its highlight in the scenes with the fireworks, with the finale portrayed as if taking place inside one, at times. Evidently, the animation does not reach the heights of Studio Ghibli or Mamoru Hosoda's productions, but still functions quite well, and occasionally, is impressive. Satoru Kosaki's music, which occasionally reminded me of Disney productions, particularly in some scenes where Nazuna is singing, compliments the animation fittingly, while the voice acting, particularly from Suzu Hirose (Nazuna) and Masaki Suda (Norimichi) is great. 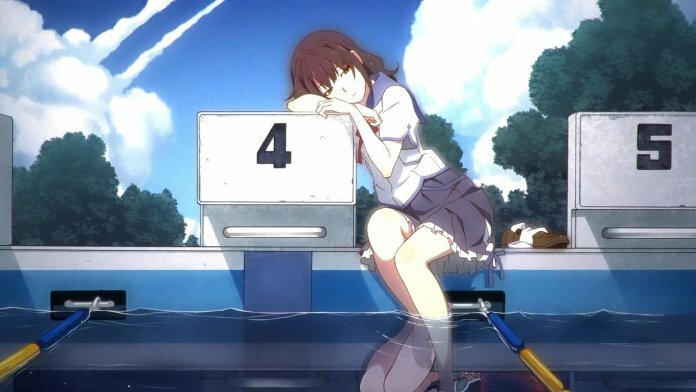 "Fireworks" is a very entertaining anime that will put a smile on its audience through its simple but captivating romance and the surrealistic brush of the titular question.